Can lids require 100% quality level. TCVision is 100% accurate. 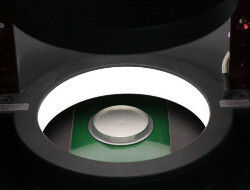 TCVision.e is a high-speed 100% accurate inspection system. We have specially developed algorithms for this application that are extremely fast and robust. 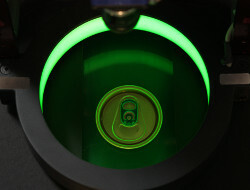 Every can lid is inspected in the production process with no limitations on type. TCVision.e is also an integrated quality analysis system. The comprehensive analysis and visualization functions enable early detection of changes in the manufacturing process. Rejects are avoided even before they have occurred. TCVision.l – the world’s first inspection system with Gigabit Ethernet technology. This technology enables the inspection of shells at speeds up to 3000 shells per minute with highest accuracy, even with a minimum shell distance.